Truth be told, you don’t read Wolf Nation The Life, Death, And Return of Wild American Wolves by acclaimed author Brenda Peterson. You experience it. This isn’t a book you sit and read from cover to cover (even though you’ll want to). Wolf Nation envelops you, makes you think, inspires you to pause, reflect, and then read on. Why is there such fury against an animal that has been hunted almost to extinction in this country? Especially since there are so many endearing wolf behaviors, many that are very similar to human behaviors. Did you know wolves mate for life? Wolves protect their young, much like human parents. They also care for older wolves, often giving them jobs like minding the den to protect the pups. Have you ever wondered why wolves howl or what’s the truth about wolves and predation? Is wolf reintroduction really destroying rancher livelihood? 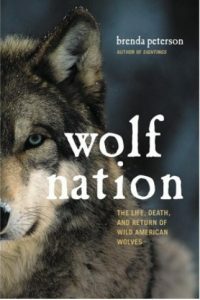 In Wolf Nation, Brenda Peterson brings the full complement of science, history and literary insight to the centuries-long history of wild wolves in America to answer these questions. 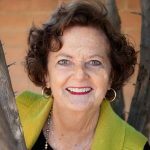 She covers everything from the vicious extermination campaign carried out by pioneers and settlers; to the internationally celebrated success of the return of the wolves to Yellowstone; to backlash, shockingly complicit politics with opaque agencies like Wildlife Services and to good news of successful reintroductions. I highly, strongly, and enthusiastically recommend this book. Anyone who wants to educate themselves about why we should protect and defend wolf habitat, and to anyone who cares about the wildlife population in our country and why wolves are a vital and integral part of the preservation of many species and habitats should read this book. You can purchase your copy of Wolf Nation today! Last but certainly not least, I would LOVE to hear from anyone who takes the time to read it and wants to share their experience. I love hearing from any member of our tribe – or maybe in this case, our pack!